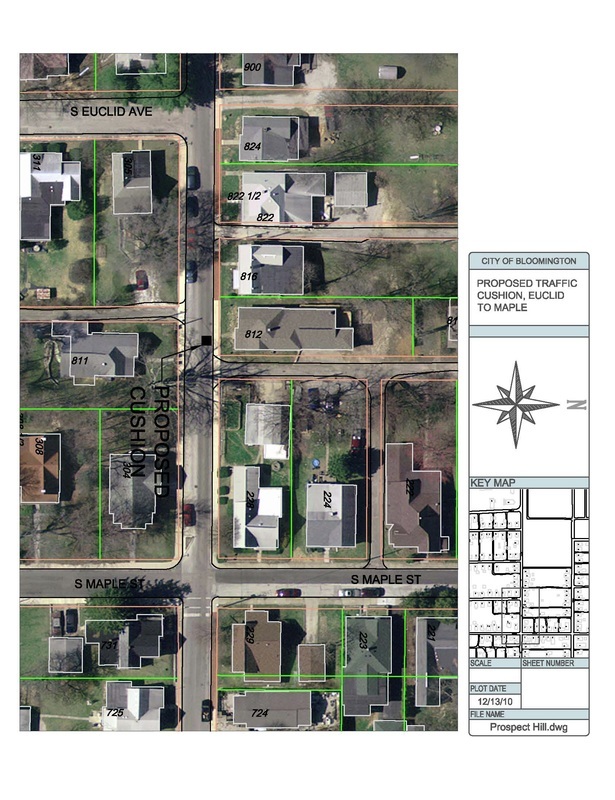 Prospect Hill Neighbors along West Third Street have expressed a growing concern about the safety and traffic speeds along this stretch of West Third Street. A committee was formed to pursue the 12-step NTSP process of evaluating and implementing new traffic calming efforts. 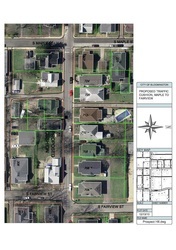 The neighborhood is currently on step 7 of this process that began in 2009. Meetings will be posted soon. Until then, please plan to attend the regular Neighborhood Meetings on the first Monday of the month. Catch up on the discussion: View or make comments here. 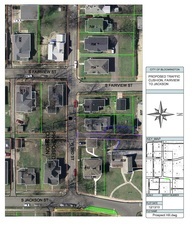 The original committee was founded in 2001 in response to traffic concerns on West 3rd Street and got the alternative parking and chicanes put in. Membership in the committee has varied. Russell White was the city engineer and Pat Cole was the City Council member who sponsored the 2001 project. Justin Wykoff, City of Bloomington Manager of Engineering Services is working with the 3rd Street committee now on navigating the NTSP process. A new neighborhood-wide traffic calming committee was formed in July 2010 to address issues of traffic calming throughout the neighborhood. 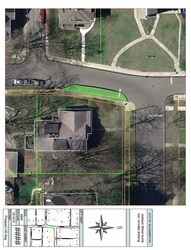 To maximize neighborhood involvement in improving local traffic conditions, the City of Bloomington Bicycle and Pedestrian Safety Committee (BPSC) with assistance from the Public Works, Engineering and Planning Departments has developed a Neighborhood Traffic Safety Program (NTSP) for Bloomington neighborhoods. Final vote is planned for the City Council Meeting on April 4, 2012, 7:30 p.m., City Council Chambers. “Based on the project evaluation and a positive ballot, City staff members prepare a report and recommendations for the Bicycle and Pedestrian Safety Commission to forward to the Common Council for action. 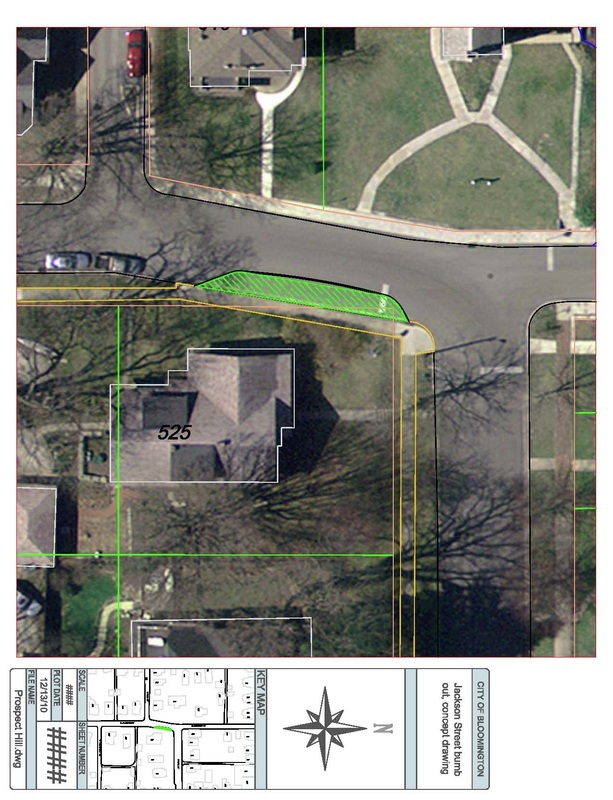 The report outlines the process followed, includes the project findings, and states the reasons for the recommendations.”On February 26, 2012, Bloomington Bike and Pedestrian Committee unanimously approved Prospect Hill’s NTSP application for traffic calming on Third Street to go to City Council. The speed cushions were removed on Tuesday as part of this process. Once City Council approves the project, the speed cushions will be installed permanently with asphalt.No date has been set for the City Council meetings. Read the March 16 comments from the Bike and Ped Commission. We are currently in Step 7 of the NTSP. shall be installed for a period of at least one month. modify or terminate a test. Come join us to discuss Step 6 of the Neighborhood Traffic Safety Program. Step 6. 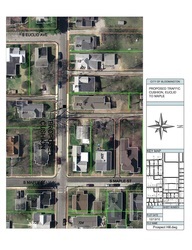 Project Ballot Project ballots will be sent out Mid January containing the plan that has been endorsed by the PHNA and the Neighborhood Traffic Calming Committee. 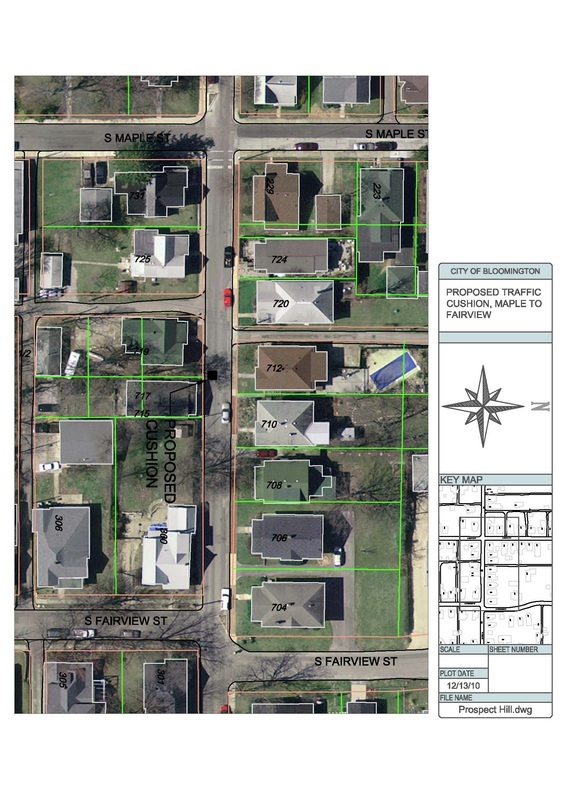 This plan consists of a tree plot next to the Murray’s house on Jackson and 4 speed cushions on Third Street. A majority of the eligible households must respond favorably by ballot. If over 50% of all eligible ballots respond in favor of the project, then the engineering department will install temporary traffic devices which will be tested for effectiveness. PHNA is pursuing a neighborhood wide reduction of speed limit to 25 mph as well as a stop sign at 4th and Maple St. 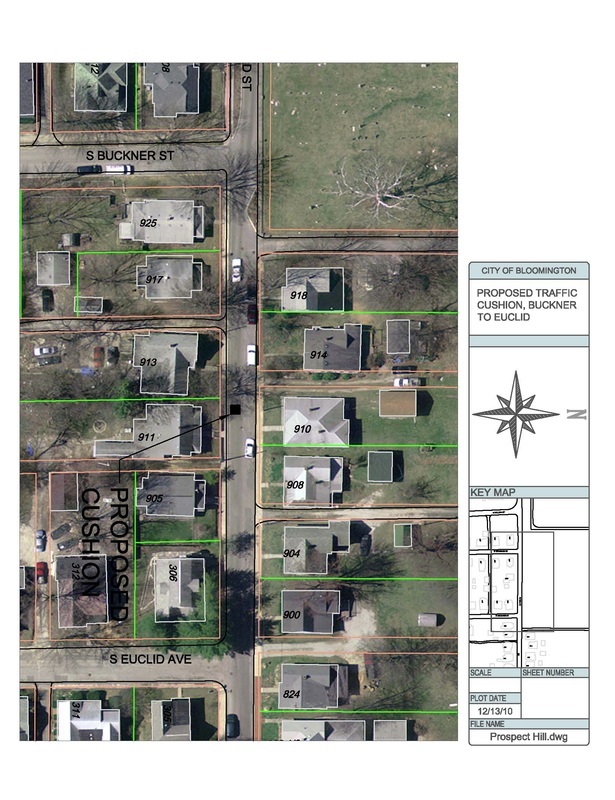 Proposed West Third Street cushion location images below (click to view larger): What is a street cushion? December 6, 2010 at 5:30 p.m. Step 5 of the NTSP. Step 5. 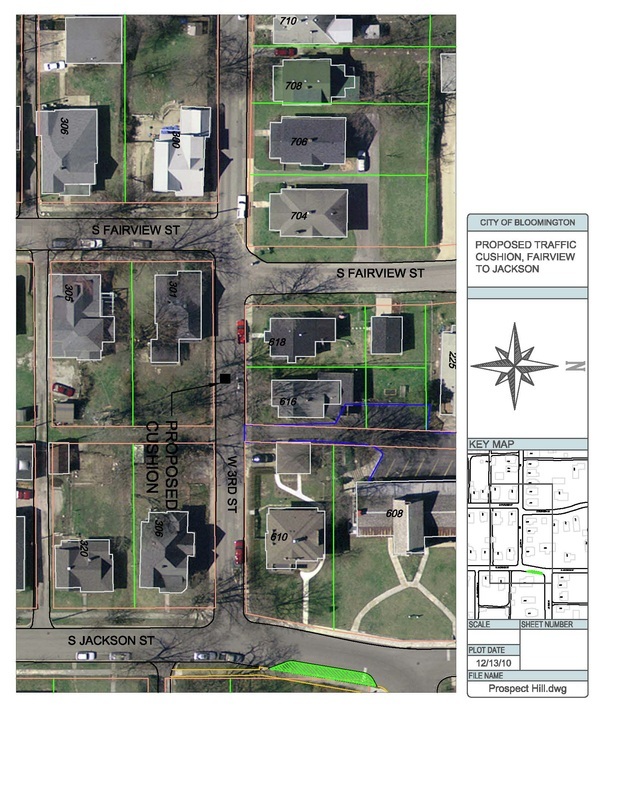 Preparation of Alternative Designs and Selection of Proposed Plan The Engineering Department and the BPSC will hold an informal work session to prepare alternatives that address the neighborhood problem. The neighborhood is welcome to participate in this workshop to provide input. The BPSC will identify the preferred alternative and City staff shall prepare a ballot for neighborhood approval.